Dr. Kenneth Ring published a scientific paper in the Journal of Near-Death Studies (Summer, 1993) about people who have had a near-death experience (NDE) of a type providing verified evidence supporting the Afterlife Hypothesis. Such people suddenly find themselves outside of their bodies and observing detailed events happening far away, sometimes hundreds and thousands of miles away, which were later verified by third-parties to have actually occurred. This phenomenon is called “veridical perception” and it is currently unexplainable by modern medical science. Such verified out-of-body observations are highly suggestive of a reality where consciousness can survive apart from the physical body and perhaps survive even death. Should conclusive evidence of veridical perception be found under strict laboratory conditions, it would be one of the greatest scientific discoveries of all time. There have been research studies performed, such as the AWARE Study, where hospitals have attempted to monitor cardiac patients for possible NDEs as they occur in the hospital. Targets displaying random images are placed near the ceiling where out-of-body perceptions are more likely to occur during cardiac arrest. There already exists a substantial amount of anecdotal accounts of veridical perception, and it may only be a matter of time before out-of-body veridical perception is proven to exist under strict research controls which will satisfy the skeptics. In this article you will discover even more astonishing evidence supporting the Afterlife Hypothesis. 48. The Scole Experiments supports NDEs and an afterlife. Dr. Bruce Greyson documented perhaps one of the most compelling examples of a person who had an NDE and observed events while outside of his body which were later verified by others. The only way that these events could have been observed by the experiencer was if in fact he was outside of his body. Al Sullivan was a 55 year old truck driver who was undergoing triple by-pass surgery in 1988 when he had a powerful NDE including an encounter with his deceased mother and brother-in-law, who told Al to go back to tell one of his neighbors their son with lymphoma will live. Furthermore, during the NDE, Sullivan accurately noticed the surgeon, Dr. Hiroyoshi Takata, operating on him was “flapping his arms as if trying to fly” with his hands in his armpits. When he came back to his body after the surgery was over, Sullivan’s cardiologist was startled that Sullivan could describe Dr. Takata’s habit of arm flapping. It was Dr. Takata’s idiosyncratic method of keeping his hands sterile and pointing out to surgical instruments and giving instructions to surgical staff. An anecdotal example of evidence that a person’s consciousness leaves and returns to their body during an NDE comes from the research of Dr. Melvin Morse. Olga Gearhardt was a 63 year old woman who underwent a heart transplant because of a severe virus that attacked her heart tissue. Her entire family awaited at the hospital during the surgery, except for her son-in-law, who stayed home. The transplant was a success, but at exactly 2:15 am, her new heart stopped beating. It took the frantic transplant team three more hours to revive her. Her family was only told in the morning that her operation was a success, without other details. When they called her son-in-law with the good news, he had his own news to tell. He had already learned about the successful surgery. At exactly 2:15 am, while he was sleeping, he awoke to see his Olga, his mother-in-law, at the foot of his bed. She told him not to worry, that she was going to be alright. She asked him to tell her daughter (his wife). He wrote down the message, and the time of day and then fell asleep. Later on at the hospital, Olga regained consciousness. Her first words were “did you get the message?” She was able to confirm that she left her body during her near-death experience and was able to travel to her son-in-law to communicate to him the message. This anecdotal evidence demonstrates that the near-death experience is a return to consciousness at the point of death, when the brain is dying. Dr. Melvin Morse thoroughly researched Olga’s testimony and every detail had objective verification including the scribbled note by the son-in-law. In June 2005, scientists of the Safar Center for Resuscitation Research at the University of Pittsburgh announced that they succeeded in reviving dogs after three hours of clinical death. The procedure involved draining all the blood from the dogs’ bodies and filled them with an ice-cold salt solution. These dogs were scientifically dead, as their breathing and heartbeat were stopped and they registered no brain activity. But three hours later, their blood was replaced and they were brought back to life with an electric shock with no brain damage. A spokesman said the technique will eventually be tried on humans. 1. Dr. Moody’s research findings are confirmed. 9. People’s lives are transformed after having an NDE. Science demands verifiable evidence which can be reproduced again and again under experimental situations. Dr. Jim Whinnery, of the National Warfare Institute, thought he was simply studying the effects of G forces on fighter pilots. He had no idea he would revolutionize the field of consciousness studies by providing experimental proof that NDEs are real. The pilots were placed in huge centrifuges and spun at tremendous speeds. After they lost consciousness, after they went into seizures, after they lost all muscle tone, when the blood stopped flowing in their brains, only then would they suddenly have a return to conscious awareness. They had “dreamlets” as Dr. Whinnery calls them. These dreamlets are similar to near-death experiences and they often involved a sense of separation from the physical body. A typical dreamlet involved a pilot leaving his physical body and traveling to a sandy beach, where he looked directly up at the sun. The pilots would remark that death is very pleasant. On October 23, 2000, The BBC reported: “Evidence of Life After Death” about a study in the UK conducted by Dr. Sam Parnia and others at the University of Southampton which provided scientific evidence suggesting the survival of consciousness after clinical and brain death. Then on June 29, 2001, ABC News reported: “Study Suggests Life After Death: Brains of Dead Heart Attack Patients Still Function” concerning the same study. These findings support other NDE evidence suggestive of life after death. On September 11, 2003, new research by the Institute of Psychiatry caused British scientists to announce that there is convincing evidence that people are capable of paranormal feats, such as premonitions, telepathy, and out-of-body experiences. TheBritish Association for the Advancement of Science was told an increasing number of experiments support the theory of a human “sixth sense” – an ability which may have its roots in our past, when the ability to sense the presence of a predator was a matter of life or death. The view that people are capable of paranormal feats, such as premonitions, telepathy, and out-of-body experiences, is supported by new research by the Institute of Psychiatry, which suggests the human mind may exist outside the body like an invisible magnetic field. The research is being led by Dr. Peter Fenwick, a neuropsychiatrist at London University, who has just completed a survey of heart patients claiming to have had “near-death experiences” after their hearts had stopped beating. 2. Memories can exist outside of the brain (see Holonomic Brain Theory, Holographic Principle,Orch-OR). 3. Evidence exists supporting the theory that consciousness exists in some form after death (seethe NDE of Pam Reynolds). 7. Scientific evidence exists supporting the theory of reincarnation (see Dr. Ian Stevenson’s research). 3. Ketamine affects the right temporal lobe, the hippocampus and associated structures in the brain, the “God” spot (see this online paper Can Science Replace Religion?). NDEs are not a denial of reality, as is often seen in drug or oxygen deprivation induced hallucinations. There are not the distortions of time, place, body image and disorientations seen in drug induced experiences. They instead typically involve the perception of another reality superimposed over this one. For example, one young boy told Dr. Melvin Morse that “god took me in his hands and kept me safe” while medics were frantically trying to revived his body after a near drowning. He said and understood everything happening to him, but simply perceived something we usually don’t perceive at other times in our lives. German psychiatrist Michael Schroeter-Kunhardt in his extensive review of all published near death research states there is no reason to believe NDEs are the result of psychiatric pathology or brain dysfunction. In 2002, Neurologist Professor Olaf Blanke and colleagues at Geneva University Hospital in Switzerland were using electrodes to stimulate the brain of a female patient suffering from Temporal Lobe Epilepsy. They found that stimulating one spot – the “God spot” – the angular gyrus in the right cortex – repeatedly causedout-of-body experiences. The doctors did not set out to achieve this out-of-body effect – they were simply treating the women for epilepsy. Apparently the increased electrical activity in the brain resulting from seizure activity (abnormal electrical activity in the brain), makes sufferers more susceptible to having near-death experiences. The doctors believe the angular gyrus plays an important role in matching up visual information and the brain’s touch and balance representation of the body. When the two become dissociated, an out-body-experience may result. Writing in the journal Nature, Electrodes Trigger Out-of-Body Experiences, the Swiss team said out-of-body experiences tended to be short-lived, and to disappear when a person attempts to inspect parts of their body (autoscopy). Professor Blanke told BBC News Online that “OBEs have been reported in neurological patients with epilepsy, migraine and after cerebral strokes, but they also appear in healthy subjects. Awareness of a biological basis of OBEs might allow some patients who suffer frequently from OBEs to talk about them more openly. In addition, physicians might take the phenomenon more seriously and carry out necessary investigations such as an EEG, MRI, and neurological examinations.” However, It must be pointed out that Blanke views OBEs as merely induced mental self-images and not an actual experience of consciousness separating from the physical body. Nevertheless, Blanke’s study does show that OBEs satisfy the scientific method as being a real phenomenon worthy of scientific research. Dr. Raymond Moody, who became famous for his pioneering studies of NDEs, has been working on ways of inducing facilitated apparitions in a controlled setting. He took as his model classic works from ancient Greece which suggested that when people wished to contact a deceased loved one they consulted with an ‘oracle’ at a psychomanteum. A psychomanteum is a specially built laboratory using mirrors to help facilitate the psychic process. Part of the actual psychic process includes the sending of telepathic messages, sending vibrations – to the selected recipient in the afterlife. Moody has reconstructed the process with astonishing results – 85% of his clients who go through a full day of preparation do make contact with a deceased loved one – but not necessarily the one that they are seeking to meet. In most cases this occurs in his specially build psychomanteum but in 25% of cases it happens later in their own homes – the client wakes up and sees the apparition at the foot of the bed (Moody 1993:97). According to Dianne Arcangel, an associate of Dr. Moody, in some cases when contact is made with intelligences from the afterlife information is transmitted to reveal something that the person seeking contact does not know (1997). Moody gives full instructions on how to create your own psychomanteum in his book Reunions: Visionary Encounters with Departed Loved Ones and on his Psychomanteum page. Perhaps the best example of a person having an NDE and bringing back a scientific discovery from it is the NDE of Lynnclaire Dennis (www.mereon.org). Lynnclaire had an NDE where saw a complex geometric structure: a knot of Light she recognized to be “the energy of all matter,” “life itself,” “light”, as well as “time and space.” During her life review, a being of light told her she would be “a catalyst for change” and “for love” in the future. She refers to this knot of light as “The Pattern.” With no knowledge of mathematics or geometry, Lynnclaire provided a detailed description of this new dynamic structure which caught the attention of renowned University of Illinois Chicago knot theorist, Dr. Louis H. Kauffman, who identified it as a previously unknown version of the Trefoil knot: it is geospherical and polarized. The matrix generated by The Pattern was given the scientific name “the Mereon Matrix.” Top scientists around the world became attracted to it when its Prime Frequency derived by the mathematics – a “rational” golden ratio –generated the entire Matrix within the natural medium of water using a CymaScope. It is no stretch of the imagination to say this new mathematical discovery is the very science of life and living. The Mereon Matrix’s sequential process generates a coherent link to living and non-living systems whether they are physical, mathematical, philosophical, or social. The importance of this discovery – the elusive “Pattern of patterns” – is underscored by the fact that a 600+ page academic textbook was published about the Mereon Matrix in 2013 by Elsevier, the world’s leading provider of science and health information. This textbook entitled “The Mereon Matrix: Unity, Perspective and Paradox” is the culmination of Lynnclaire being a catalyst for change and love as revealed in her NDE. The Mereon Matrix to currently helping humanity solve some of its most critical problems by offering a new way of systems modeling applicable across a multitude of sciences. It provides the world with an algorithm representing the unification of knowledge and gives a scientific framework charting the emergent growth process of systems. Astrobiologist Neville Nick Woolf used the Mereon Matrix to map the formation of matter starting with the Big Bang. The Mereon Matrix defines, and sequentially and dynamically unites, the fundamental forms we know to be the building blocks of matter: the Platonic andKepler solids. In reference to physics, the Mereon Matrix is a 120/180 polyhedron with triangular faces – a geometric structure which may be the “mother” of all physical matter because it “breathes” and “births” new systems. At the center of the Mereon Matrix is a core structure that is a pattern match for theories about the structure of the nucleus of an atom. The Mereon Matrix is a dynamic process currently being used as a template for a Universal Systems Model. Modeling human clinical molecular genetics is the first example of this application. The Mereon Matrix is currently being explored in multiple scientific domains including alternative energy technologies, medical informatics and healing modalities. “One of the things I did that got me a lot of attention was working with the University of Texas. I was brought in with Dr. Ken Ring and not told what it was going to be or any details whatsoever and I didn’t know anything until we entered the room. By the way, this was videotaped and recorded. At that time, I could do almost a self hypnosis and get to the light. “So, the University of Texas sat me down and they said, ‘Today, we are going to be working on something call CNT.’ That was all the information that they gave me, that it was a medical problem, and then I did my technique. In those days, the only tools that I brought with me were a big pad of paper and large Crayola crayons. I could sit there, go to the light and still speak to you and draw pictures while seeing. In a hospital in Switzerland in 1944, the world-renowned psychiatrist Carl G. Jung, had a heart attack and then a near-death experience. His vivid encounter with the light, plus the intensely meaningful insights led Jung to conclude that his experience came from something real and eternal. Jung’s experience is unique in that he saw the Earth from a vantage point of about a thousand miles above it. His incredibly accurate view of the Earth from outer space was described about two decades before astronauts in space first described it. Subsequently, as he reflected on life after death, Jung recalled the meditating Hindu from his near-death experience and read it as a parable of the archetypal Higher Self, the God-image within. Carl Jung, who foundedanalytical psychology, centered on the archetypes of the collective unconscious. During his near-death experiences, he met the avatar of the physician who was treating him and was still living on Earth. Principles of quantum physics and quantum mechanics supports concepts found in NDEs including a universal light (the Big Bang), a creator of the cosmos (Gödel’s incompleteness theorem), an omnipresent energy field (the “God particle” or Higgs field), a cosmic memory (holographic universe), a holistic oneness of all things (holographic principle), a conscious universe (fractal cosmology), panpsychism (quantum indeterminacy and emergence), collective unconscious (quantum consciousness), consciousness creating reality (Heisenberg’s uncertainty principle), telepathy (quantum entanglement), mind over matter (wave function collapse), synchronicity (space time continuum), mind/brain dualism (wave-particle duality), mind/body separation (quantum nonlocality), an immortal “soul” or consciousness (quantum immortality and thelaw of conservation of energy/energy can neither be created nor destroyed), out-of-body experiences (quantum superposition), astral body (bioelectromagnetics), bilocation (quantum coherence), the NDE tunnel (black holes and wormholes), multidimensional realms (string theory), a higher self (parallel universes), an invisible realm (dark energy), a Void realm (zero point field), a timeless realm (theory of relativity), entire lifetime memory (holonomic brain theory and Orch-OR), life review flashback (delayed choice quantum eraser experiments), life review flash-forward (many-worlds interpretation), instantaneous spirit travel (electricity teleportation and quantum tunnelling), reincarnation (omega point and quantum gravity), subjectivity as true reality (the principle of complementarity), objective reality as illusionary (simulation hypothesis). Philosophies and religions were founded on NDEs. The famed Greek philosopher,Plato, described at the conclusion of his legendary work entitled Republic, the NDE account of a soldier named Er which has greatly influenced religious, philosophical, and scientific thought for many centuries.. Plato integrated at least three elements of this NDE into his philosophy: (1) The departure of the soul from “the cave of shadows” to see the light of truth, (2) The flight of the soul to a vision of pure celestial being, (3) Its subsequent recollection of the vision of light, which is the very purpose of philosophy. When it comes to religion, one NDE was responsible for making Christianity a world religion. The apostle Paul once persecuted Christians until he converted to Christianity himself because of an NDE which he described as follows: “I know a person in Christ who fourteen years ago was caught up the third heaven. Whether it was in the body or out of the body I do not know – God knows. And I know that this person – whether in the body or apart from the body I do not know, but God knows – was caught up to paradise. He heard inexpressible things, things that people are not permitted to tell. (2 Corinthians 12:2-4). In this letter, Paul based his authority as an apostle on this NDE. Some or all of his revelations of Jesus certainly came from this NDE. The inspiration of much of the New Testament can therefore be attributed to Paul’s NDE. Tibetan Buddhism is a religion based upon the NDEs of “deloks” which are described in the Tibetan Book of the Dead, whose actual title is “The Great Liberation upon Hearing in the Intermediate State” or “Bardo Thodol.” This holy book describes what happens after death and has striking parallels with modern NDEs. The Bardo Thodol is a guide that is read aloud to the dead while they are in the out-of-body state between death and reincarnation in order for them to recognize the nature of their mind and attain liberation from the cycle of rebirth. The Bardo Thodol teaches that once awareness is freed from the body, it creates its own reality as one would experience in a lucid dream. This dream occurs in various afterlife realms (bardos) in ways both wonderful and terrifying. Overwhelming peaceful and wrathful visions and beings appear. Because the deceased may be in a state of confusion due to its disconnection from its physical body, it might need help and guidance in order for enlightenment and liberation (Nirvana) to occur. The Bardo Thodol teaches how we can attain Nirvana by recognizing the heavenly realms instead of entering into the lower realms where the cycle of birth and rebirth continue. Dr. Kenneth Ring believes NDEs can be viewed psychologically as archetypal initiatory journeys involving a death of one’s old ego and a rebirth of a new Self. In addition, he thinks an adequate interpretation must incorporate the spiritual realm ofKundalini experiences, the imaginal realm, and the Mind at Large. As Ring envisions in his essay in the book, The Near-Death Experience: A Reader, this shift in thinking will deconstruct our traditional Western worldview. It may bring a dramatic next step of evolution towards a more ecological and more compassionate consciousness. Rev. George Rodonaia underwent one of the most extended cases of a near-death experience ever recorded. Pronounced dead immediately after he was hit by a car in 1976, he was left for three days in the morgue. He did not return to life until a doctor began to make an incision in his abdomen as part of an autopsy procedure. Prior to his NDE he worked as a neuropathologist. He was also an avowed atheist. Yet after the experience, he devoted himself exclusively to the study of spirituality, taking a second doctorate in the psychology of religion. He then became an ordained priest in the Eastern Orthodox Church. He served as a pastor at St. Paul United Methodist Church in Baytown, Texas. Rodonaia held an M.D. and a Ph.D. in neuropathology, and a Ph.D. in the psychology of religion. He delivered a keynote address to the United Nations on the “Emerging Global Spirituality.” Before emigrating to the United States from the Soviet Union in 1989, he worked as a research psychiatrist at the University of Moscow. Nancy Evans Bush, president emeritus of the International Association for Near-Death Studies, says the experience is revelatory. “Most near-death survivors say they don’t think there is a God,” she says. “They know.” In 1975, when Raymond Moody published Life After Life, a book that coined the term “near-death experience” (NDE) to describe this hard-to-define phenomenon. Moody interviewed 150 near-death patients who reported vivid experiences (flashing back to childhood, coming face to face with Christ). He found that those who had undergone NDEs became more altruistic, less materialistic, and more loving. Crystal-Clear Consciousness. The level of conscious alertness during NDEs is usually greater than that experienced in everyday life – even though NDEs generally occur when a person is unconscious or clinically dead. This high level of consciousness while physically unconscious is medically unexplained. Additionally, the elements in NDEs generally follow the same consistent and logical order in all age groups and around the world, which refutes the possibility that NDEs have any relation to dreams or hallucinations. Consciousness During Anesthesia. Many NDEs occur while the NDEr is under general anesthesia – at a time when any conscious experience should be impossible. While some skeptics claim these NDEs may be the result of too little anesthesia, this ignores the fact that some NDEs result from anesthesia overdose. Additionally, descriptions of a NDEs differ greatly from those people who experiences “anesthetic awareness.” The content of NDEs occurring under general anesthesia is essentially indistinguishable from NDEs that do not occur under general anesthesia. This is more strong evidence that NDEs occur independent from the functioning of the material brain. Perfect Playback. Life reviews in NDEs include real events which previously occurred in the lives of the NDEr – even if the events were forgotten or happened before they were old enough to remember. Reports of near-death experiences are not a new phenomenon. A great number of them have been recorded over a period of thousands of years. The ancient religious texts such as The Tibetan Book of the Dead, the Christian Bible, and the Korandescribe experiences of life after death which remarkably resembles modern NDEs. The oldest surviving explicit report of an NDE in Western literature comes from the famed Greek philosopher, Plato, who describes an event in his tenth book of his legendary book entitled Republic. Plato discusses the story of Er, a soldier who awoke on his funeral pyre and described his journey into the afterlife. But this story is not just a random anecdote for Plato. He integrated at least three elements of the NDE into his philosophy: the departure of the soul from the cave of shadows to see the light of truth, the flight of the soul to a vision of pure celestial being and its subsequent recollection of the vision of light, which is the very purpose of philosophy. Two competing hypotheses are advanced in a book by skeptic Susan Blackmoreentitled Dying to Live and they are (1) The Afterlife Hypothesis and (2) Susan Blackmore’s The Dying Brain Hypothesis. The Afterlife Hypothesis states spirit survives body death. The NDE is the result of spirit separating from the body. The Dying Brain Hypothesis states the NDE is an artifact of brain chemistry. According to the dying brain hypothesis, there is no spirit which survives body death. Skeptics who claim the author of Dying to Live is non biased are proven wrong; skeptics who claim she provides scientific proof are shown, by her own words, to be in error. Sociologist Dr. Allan Kellehear states that some scientific theories are often presented as the most logical, factual, objective, credible, and progressive possibilities, as opposed to the allegedly subjective, superstitious, abnormal, or dysfunctional views of mystics. The rhetorical opinions of some NDE theories are presented as if they were scientific (Kellehear, 1996, 120). Many skeptical arguments against the survival theory are actually arguments from pseudo-skeptics who often think they have no burden of proof. Such arguments often based on scientism with assumptions that survival is impossible even though survival has not been ruled out. Faulty conclusions are often made such as, “Because NDEs have a brain chemical connection then survival is impossible.” Pseudo-skeptical arguments are sometimes made that do not consider the entire body of circumstantial evidence supporting the possibility of survival or do not consider the possibility of new paradigms. Such pseudo-skeptical claims are often made without any scientific evidence. Anomalous phenomena supporting the survival theory includes: out-of-body experiences such as researched by Jerry Gross, (1) deathbed visions, (2) quantum physics, (3) dream research, (4) after-death communications research, (5)reincarnation research, (6) hypnosis, (7) synchronicity, (8) remote viewing, and (9)consciousness research. On June 11, 1992, at Princeton University, Dr. Ian Stevenson presented a paper entitled: “Birthmarks and Birth Defects Corresponding to Wounds on Deceased Persons” providing scientific evidence suggestive of reincarnation which was published in the Journal of Scientific Exploration. These findings support reincarnation in NDE research findings as well. 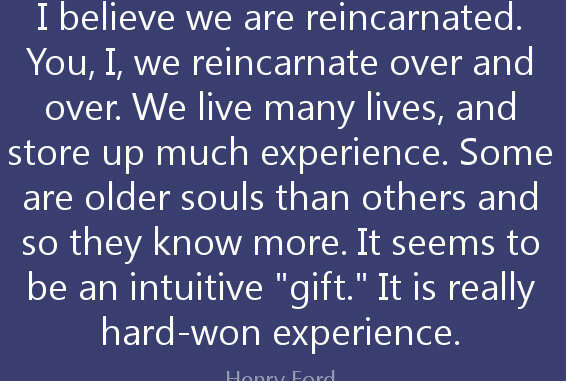 Reincarnation has been called by some to be the greatest unknown scientific discovery today. In the last chapter of Dr. Ian Stevenson’s book entitled Twenty Cases Suggestive of Reincarnation (1967), he provides rigorous scientific reasoning to show how reincarnation is the only viable explanation that fits the facts of his study. He considers every possible alternative explanation for his twenty cases of young children who were spontaneously able to describe a previous lifetime as soon as they learned to talk. He was able to rule out each alternative explanation using one or more aspects of these cases. Later research has even bolstered his case in favor of the existence of reincarnation. His study is also completely reproducible which means that anybody who doubts the validity of this study is perfectly welcome to repeat it for themselves. I believe it is only a short matter of time before his discovery of the existence of reincarnation is finally realized by the scientific community and the world to be accepted as one of the greatest scientific discoveries of all time. One of the most amazing psychic phenomena, which religionists, skeptics and atheists have continuously and deliberately ignored is xenoglossy – the ability to speak or write a foreign language a person never learned. After all other explanations have been investigated – such as fraud, genetic memory, telepathy and cryptomnesia (the remembering of a foreign language learned earlier), xenoglossy is taken as evidence of either memories of a language learned in a past life or of communication with a discarnate entity— a spirit person. There are many cases on record of adults and children speaking and writing languages which they have never learned. Sometimes this happens spontaneously but more often it occurs while the person is under hypnosis or in an altered state of consciousness. In some cases it is only a few words remembered but in other cases the person becomes totally fluent and able to converse with native speakers sometimes in obscure dialects which have not been in use for centuries. There are literally thousands of xenoglossic cases, many hundreds of which have been documented. They involve modern and ancient languages from all over the world. Psychic investigators, such the highly credibleDr. Ian Stevenson, used scientific method to illustrate xenoglossy and claim that there are only two possible explanations — either spirit contact or past life memory both of which are evidence for the afterlife. On October 4, 1999, the University of Arizona announced a study conducted by Dr. Gary Schwartz: “UA Researchers Look Beyond the Grave” concerning scientific evidence supporting a theory of the existence of a Universal Living Memory. This was achieved by testing highly qualified psychic mediums to see if they could contact the dead. The success of this study is important in that it supports NDE research in providing a scientific foundation toward investigating the survival of consciousness after death. One of the strangest cases in the history of dream research is described in the documentary, The Secret World of Dreams. It describes the amazing story of a woman named Claire Sylvia. She was a professional dancer with several modern dance companies. As the years passed, Claire’s health began to deteriorate. Claire Sylvia had to undergo a heart and lung transplant. Soon after the transplant, she began having strange and incredibly vivid dreams about a young man she didn’t recognize. Eventually, Claire realized that the young man in her dreams was the eighteen-year-old organ donor whose heart and lungs resided in her chest. Through her continuing dream contacts with her donor, she learned a lot about him including his name. She then decided to do the research to find out if this “heavenly” information was correct. On April 23, 1984, the Washington Post reported: “The Race for Inner Space” about the CIA’s remote viewing program. On August 12, 1985, the Deseret News reported: “The United States is Still Involved in ESP-ionage.” Other media attention followed. One theory about how remote viewing works is that gifted or trained people can tap into a “Universal Mind.” NDE research also suggests the reality of a Universal or Collective Consciousness. Some of the most credible remote reviewers, such asJoseph McMoneagle, received their remote viewing powers from a near-death experience. On October 25, 1999, BBC News reported: “Healing Power of Prayer Revealed” about a study at a university hospital in Kansas City, U.S. about scientific evidence of healing through the power of prayer. Then on June 5, 2000, BBC News reported: “Prayer Works as a Cure” about a different study conducted at the University of Maryland providing more evidence of healing through prayer. These findings support NDE research findings which demonstrates the reality of a transcendent consciousness.Dr. Larry Dossey has done extensive research on the efficacy of prayer and has written several excellent books on the subject. Victor Zammit is a lawyer who has collected a large body of evidence supporting the reality of an afterlife. Zammit has an excellent article concerning what many regard as the greatest afterlife experiment in the world. The evidence collected over a period of more than four years and with more than 500 sittings by the Scole Experimentsand the afterlife team is absolute, definitive and irrefutable. Scole is a village in Norfolk, England. Using it as a base, mediums Robin and Sandra Foy and Alan and Diana Bennett and other experimenters produced brilliant evidence of the afterlife in England, the U.S. Ireland and in Spain. Their results are being repeated by other groups around the world and will convince even the toughest open-minded skeptic. The group began with two mediums delivering messages from a non-physical group. Many of these messages contained personal information that nobody else could know about. Soon the messages came in the form of voices which could be heard by all in the room. Then came the actual materialization of people and objects from the non-physical side. For more than 50 years, experimenters all over the world have been tape recording “paranormal voices” – voices which cannot be heard when a tape recorder is playing but which can be heard when the tape is played back. Many of these messages have been reported to be from loved ones who have passed on. Such messages would include the experimenter’s name and also answers to the experimenter’s questions. It is a phenomenon known as “EVP” or “electronic voice phenomenon” and there are thousands of researchers around the world researching this fascinating psychic phenomenon. This phenomenon is particularly relevant to evidence supporting the survival hypothesis because it follows strict scientific procedures and have been duplicated under laboratory conditions by various of researchers in many different countries. After reading Friedrich Jürgenson’s book, Dr. Konstantins Raudive (1909–1974), a Latvian psychologist who was a student of Carl Jung, meet with Jürgenson and conducted EVP experiments with him. As a result, in 1965, Raudive began to conduct his own EVP research and with the help of various electronics experts, Raudive recorded over 100,000 audiotapes, most of which were conducted using strict laboratory conditions. Raudive would confirm the accuracy of his recordings by inviting listeners to hear and interpret them. Over 400 people were involved in his EVP research and all heard the voices. This culminated in his 1968 book entitled “Breakthrough: An Amazing Experiment in Electronic Communication With the Dead.” Raudice’s research into EVP gave experimenters various methods for recording EVP’s including the EVP classification scale that is used by researchers today. The popular paranormal TV series called “Ghost Adventures” features an overwhelmingly number of convincing EVP recordings as they occur. Article: Did Atheist Philosopher See God When He ‘Died’? According to Wikipedia.org, “psychometry” is a psychic ability in which the user is able to relate details about the past condition of an object or area, usually by being in close contact with it. The user could allegedly, for example, give police precise details about a murder or other violent crime if they were at the crime scene or were holding the weapon used. About.com’s Paranormal Phenomena website lists information about several of the most convincing psychometrists. Stefan Ossowiecki, a Russian-born psychic, is one of the most famous psychometrists. Ossowiecki claimed to be able to see people’s auras and to move objects through psychokinesis. His psychic gifts enabled this chemical engineer to locate lost objects and missing people, and he assisted in several criminal investigations. In 1935, he participated in a test of his psychometric powers – a test devised by a wealthy Hungarian named Dionizy Jonky that involved a sealed package. Jonky stipulated that this test was to be conducted eight years after his death. (Jonky and Ossowiecki did not know each other.) First, 14 photographs of men were placed in front of Ossowiecki, one of which was of Jonky. Ossowiecki picked out the correct photo. Next, Ossowiecki accurately described many details of Jonky’s life and correctly identified the man who held the package for the past eight years. Finally, Ossowiecki was presented with the sealed package Jonky had prepared before his death. Ossowiecki touched the package and concentrated. “Volcanic minerals,” he said. “There is something here that pulls me to other worlds, to another planet.” Oddly, he also sensed sugar. Inside the package was a meteorite encased in a candy wrapper. In later experiments, Ossowiecki performed remarkable psychometric feats with archeological objects – a kind of psychic archeology. These tests were conducted by Stanislaw Poniatowski, a professor of enthology at the University of Warsaw who could verify the accuracy of what Ossowiecki “saw.” While holding a 10,000-year-old piece of flint, Ossowiecki was able to describe in amazing detail the lives of the prehistoric people who made it. In other tests he provided similar descriptions of people who lived as long ago as 300,000 years. Some of the information he provided was not even known by experts at the time, but confirmed by discoveries years later! Ossowiecki described his visions as being like a motion picture that he could watch, pause, rewind and fast-forward – like a videotape or DVD. Article: The Ontario Canada Psychometry Experiment – An Ontario, Canada psychometry study. Researchers at the Coma Science Group, directed by Steven Laureys, and theUniversity of Liege’s Cognitive Psychology Research, headed by Professor Serge Bredart and Hedwige Dehon, have demonstrated that the physiological mechanisms triggered during NDEs lead to a more vivid perception not only of imagined events in the history of an individual but also of real events which have taken place in their lives. These surprising results – obtained using an original method which now requires further investigation – were published in PLOS ONE. The researchers looked into the memories of NDEs with the hypothesis that if the memories of NDEs were pure products of the imagination, their phenomenological characteristics (e.g., sensorial, self referential, emotional, etc. details) should be closer to those of imagined memories. Conversely, if the NDE are experienced in a way similar to that of reality, their characteristics would be closer to the memories of real events. Their results were surprising. From the perspective being studied, not only were the NDEs not similar to the memories of imagined events, but the phenomenological characteristics inherent to the memories of real events (e.g. memories of sensorial details) are even more numerous in the memories of NDE than in the memories of real events. Dr. Michael Sabom is a cardiologist whose book entitled Light and Death includes a detailed medical and scientific analysis of an amazing near-death experience of a woman named Pam Reynolds. She underwent a rare operation to remove a giant basilar artery aneurysm in her brain that threatened her life. The size and location of the aneurysm, however, precluded its safe removal using the standard neuro-surgical techniques. She was referred to a doctor who had pioneered a daring surgical procedure known as hypothermic cardiac arrest. It allowed Pam’s aneurysm to be excised with a reasonable chance of success. This operation, nicknamed “standstill” by the doctors who perform it, required that Pam’s body temperature be lowered to 60 degrees, her heartbeat and breathing stopped, her brain waves flattened, and the blood drained from her head. In everyday terms, she was put to death. After removing the aneurysm, she was restored to life. During the time that Pam was in standstill, she experienced an NDE. Her remarkably detailed veridical out-of-body observations during her surgery were later verified to be true. Her case is considered to be one of the strongest cases of veridical (i.e., verified) evidence in NDE research because of her ability to describe the unique surgical instruments, the surgical procedures used on her, and her ability to describe in detail these events while she was clinically brain dead. When all of Pam’s vital signs were stopped, the doctor turned on a surgical saw and began to cut through Pam’s skull. While this was going on, Pam reported that she felt herself “pop” outside her body and hover above the operating table. Then she watched the doctors working on her lifeless body for awhile. From her out-of-body position, she observed the doctor sawing into her skull with what looked to her like an electric toothbrush. Pam heard and reported later what the nurses in the operating room had said and exactly what was happening during the operation. At this time, every monitor attached to Pam’s body registered “no life” whatsoever. At some point, Pam’s consciousness floated out of the operating room and traveled down a tunnel which had a light at the end of it where her deceased relatives and friends were waiting including her long-dead grandmother. Pam’s NDE ended when her deceased uncle led her back to her body for her to reentered it. Pam compared the feeling of reentering her dead body to “plunging into a pool of ice.” The following is Pam Reynolds’ account of her NDE in her own words. The next thing I recall was the sound: It was a Natural “D.” As I listened to the sound, I felt it was pulling me out of the top of my head. The further out of my body I got, the more clear the tone became. I had the impression it was like a road, a frequency that you go on … I remember seeing several things in the operating room when I was looking down. It was the most aware that I think that I have ever been in my entire life …I was metaphorically sitting on [the doctor’s] shoulder. It was not like normal vision. It was brighter and more focused and clearer than normal vision … There was so much in the operating room that I didn’t recognize, and so many people. The saw-thing that I hated the sound of looked like an electric toothbrush and it had a dent in it, a groove at the top where the saw appeared to go into the handle, but it didn’t … And the saw had interchangeable blades, too, but these blades were in what looked like a socket wrench case … I heard the saw crank up. I didn’t see them use it on my head, but I think I heard it being used on something. It was humming at a relatively high pitch and then all of a sudden it went Brrrrrrrrr! like that. Someone said something about my veins and arteries being very small. I believe it was a female voice and that it was Dr. Murray, but I’m not sure. She was the cardiologist. I remember thinking that I should have told her about that … I remember the heart-lung machine. I didn’t like the respirator … I remember a lot of tools and instruments that I did not readily recognize. At some point very early in the tunnel vortex I became aware of my grandmother calling me. But I didn’t hear her call me with my ears … It was a clearer hearing than with my ears. I trust that sense more than I trust my own ears. The feeling was that she wanted me to come to her, so I continued with no fear down the shaft. It’s a dark shaft that I went through, and at the very end there was this very little tiny pinpoint of light that kept getting bigger and bigger and bigger. I noticed that as I began to discern different figures in the light – and they were all covered with light, they were light, and had light permeating all around them – they began to form shapes I could recognize and understand. I could see that one of them was my grandmother. I don’t know if it was reality or a projection, but I would know my grandmother, the sound of her, anytime, anywhere. I recognized a lot of people. My uncle Gene was there. So was my great-great-Aunt Maggie, who was really a cousin. On Papa’s side of the family, my grandfather was there … They were specifically taking care of me, looking after me. They would not permit me to go further … It was communicated to me – that’s the best way I know how to say it, because they didn’t speak like I’m speaking – that if I went all the way into the light something would happen to me physically. They would be unable to put this me back into the body me, like I had gone too far and they couldn’t reconnect. So they wouldn’t let me go anywhere or do anything. Then they [deceased relatives] were feeding me. They were not doing this through my mouth, like with food, but they were nourishing me with something. The only way I know how to put it is something sparkly. Sparkles is the image that I get. I definitely recall the sensation of being nurtured and being fed and being made strong. I know it sounds funny, because obviously it wasn’t a physical thing, but inside the experience I felt physically strong, ready for whatever. But then I got to the end of it and saw the thing, my body. I didn’t want to get into it … It looked terrible, like a train wreck. It looked like what it was: dead. I believe it was covered. It scared me and I didn’t want to look at it. It was communicated to me that it was like jumping into a swimming pool. No problem, just jump right into the swimming pool. I didn’t want to, but I guess I was late or something because he [the uncle] pushed me. I felt a definite repelling and at the same time a pulling from the body. The body was pulling and the tunnel was pushing … It was like diving into a pool of ice water … It hurt! When I came back, they were playing Hotel California and the line was “You can check out anytime you like, but you can never leave.” I mentioned [later] to Dr. Brown that that was incredibly insensitive and he told me that I needed to sleep more. [laughter] When I regained consciousness, I was still on the respirator. For practical purposes outside the world of academic debate, three clinical tests commonly determine brain death. First, a standard electroencephalogram, or EEG, measures brain-wave activity. A “flat” EEG denotes non-function of the cerebral cortex – the outer shell of the cerebrum. Second, auditory evoked potentials, similar to those [clicks] elicited by the ear speakers in Pam’s surgery, measure brain-stem viability. Absence of these potentials indicates non-function of the brain stem. And third, documentation of no blood flow to the brain is a marker for a generalized absence of brain function. But during “standstill”, Pam’s brain was found “dead” by all three clinical tests – her electroencephalogram was silent, her brain-stem response was absent, and no blood flowed through her brain. Interestingly, while in this state, she encountered the “deepest” NDE of all Atlanta Study participants. [15:37:20] M: To think this kind of thing with the NDE science and stuff might actually prevent some people who might be thinking of committing suicide from going ahead. [15:41:50] M: The way I got originally convinced was actually a bit weird of a situation. I had first looked at this one article that was anti-Christianity with the stuff about eternal hell heaven and the like being stupid and obviously I agreed with it. Then on the same article it sort of led into some info about real experiences that contradicted it. I still think there’s a lot of people who probably would be more receptive to this kind of stuff though. Since it is just not out there a lot. [15:44:20] John de Nugent: the key is an inspired leader to spread the Word. [15:45:01] John de Nugent: A ton of people who have various motives for not wanting their lives to be JUDGED….